Victoria Gate is a new retail development in Leeds city centre, adjacent to Kirkgate Market. The development includes a flagship John Lewis store, shopping arcade with stores, restaurants, cafes, leisure spaces and the casino. 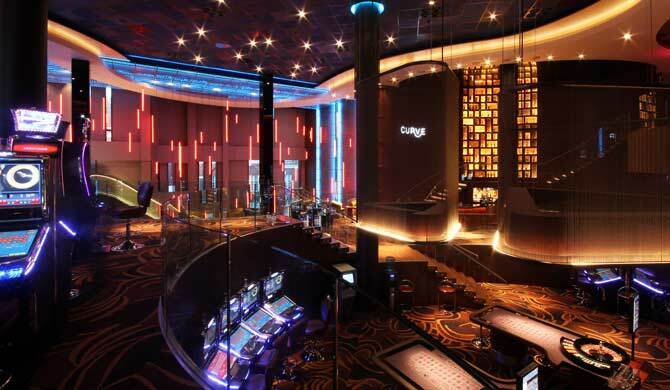 The casino is a 24 hour operation providing patrons with round-the-clock gaming, entertainment, and leisure opportunities including eateries, themed bars, and live music. Stringent Landlord and Local Authority requirements, combined with the multiple functions within the building, provided many interesting challenges from an acoustic perspective. Working as part of the client team we considered how noise intrusion from one space to another could be reduced and controlled to acceptable levels. This included advice on internal acoustic finishes, enhancements to the sound insulation performance of the basebuild constructions, and advice on noise control measures for the purpose of satisfying the external requirements.